Illinois and Cities in Northwest Illinois Lose Population – But Illinois Is Leader in Real Estate Taxes! Rockford, Illinois leads the State of Illinois in population decline. See http://newsroom.niu.edu/2015/05/26/illinois-population-shifts/ The State of Illinois leads the nation in population decline. To make matters even worse, the majority of the loss is attributable to people moving to neighboring states such as Indiana, Wisconsin, and Missouri. If they all were going to Florida, you could at least understand that they like Florida winters better than winters in Illinois! Illinois is a leader in one category – real estate taxes. It is a close second to New Jersey which has the highest real estate taxes in the country. 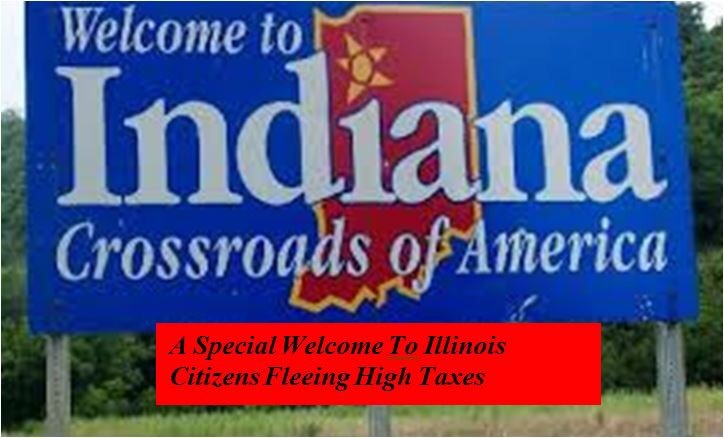 See http://wallethub.com/edu/states-with-the-highest-and-lowest-property-taxes/11585/ I have faith in Illinois – it will soon overtake New Jersey! Do you think there is a correlation between high real estate taxes and population decline? This entry was posted in Politics and tagged high real estate taxes, Illinois, population decline on May 27, 2015 by Good Day Illinois.